a computer is an audio interface. It gives the ability to connect microphones, headphones, and other instruments as well as a variety of signal outputs. One of the best uses of audio interface is it improves the sound quality of the computer. It reproduces a more accurate representation of the sounds every time there is a new audio recording. An audio interface is absolutely the essential component in all computer-based audio production. The good thing is this interface usually comes up in one package with a microphone, a headphone, and cable wires. So, it will make things easier. Converters offer the ability to take the electrical signal from a mic or any instrument and convert it to digital signals so a computer can read it. Without a converter, a computer won’t be able to understand what you are transmitting. Analog or digital converters make digital recording a reality. You need a Flux Capacitor to make time travel possible. The A/D converters can be a bit depth or a sampling rate. An analog converter is for analog audio usually uses stereo mini-plug connections. On the other hand, a digital converter can be used to connect to some CD players, DAT recorders, and other digital audio devices. Choose the best interface typeAny type of interface is able to transmit digital data between the audio interface unit itself and your computer. An interface can be a kind of USB or FireWire. A FireWire type of interface uses a FireWire input where you will need a FireWire card on your computer to complete the setup. This type of interface is usually applicable on Macs computers. A USB interface is more common than the FireWire. The newest interfaces today support the USB standard so it would be easy for you to find this kind. USB interface has faster transfer speed and it is ampler to handle. In order to install this type, you’ll a driver before anything else. A MIDI capability is a great place to address your home recording studio. If you have multiple devices that need multiple inputs you should include MIDI in your set up. A MIDI input or output can be found on many audio interfaces. 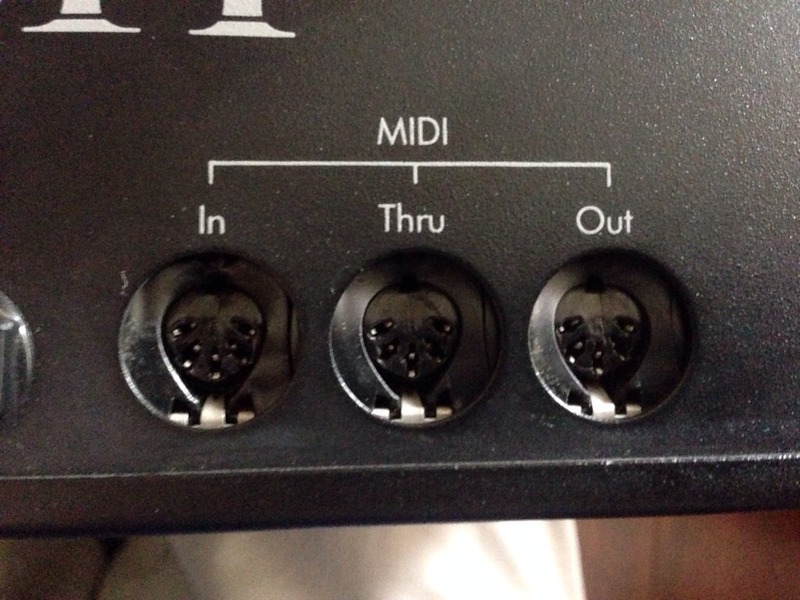 The MIDI ports are important when it comes to audio recording. They make the MIDI information be sent in or out of a computer. It is a simple language that enables pieces of music-oriented hardware to communicate with its other. MIDI ports are best for all kind of things. They are often used to connect external MIDI instruments. MIDI sequence is just a series of commands so every time you record it into your DAW you can change it easily into something new. Considering audio interfaces that sync with digital mixing software lets you alter your tracks the same as physical mixing console does. Instead of turning the physical knob or fader, try to adjust the virtual knobs as well as the fader with the use of your mouse. You can also use a separate a separate mixing console to provide a hardware mixing capability. However, a hardware mixer is not necessarily important to record music because it can get confusing in a hurry and it can also be another expensive piece of gear. If you think using a control surface is easier then it would be better. There are instruments like keyboard synthesizers and drum machines that can be added through line level input. These are much different from the mic inputs because the levels are much stronger than the tiny output signals. On the output side, all units should have a stereo main out. Some units usually have multiple additional outputs that can expand the possibilities of your home recording studio setup. The word clock inputs and outputs can also be considered to make every digital operation separated by devices fire in perfect unison. This will also make your recordings sound better. Start with an audio box or an audio interface itself (preferably USB audio interface). Then install it using the driver installer to get you going. However, there are other types of interface that skip this process. You should also have to install recording software into your computer. Make sure the microphone cable is well inserted into the mic to allow the piece connected to an audio interface. Then prepare the USB cable to be able to connect the audio interface to the computer. Make headphone ready which will be used for the recording process. You can find the two inputs easily on the front of the box for you to attach the mic as well as the instrument to be used. Besides on it, you can see the volume, phone, mixer, power etc. Insert the USB cable at the back, MIDI ports and other inputs. To connect the interface to the computer totally. Get a microphone stand for easy recording then put the mic properly on it. When all the connections and installations are ready to sing or talk to the mic to check how the program you’ve installed work. And finally, you got it. Setting up an audio interface is just easy. Now you can record an audio in your home with ease. Simple and Affordable Soundproofing Tips. Effective Tips on How to Make Great Guitar Sound.